Babies love poetry. They love the sound of human voices, the musicality of rhyme and rhythm and they love those easy to remember lines. Parents know this and instinctively recite nursery rhymes to their small children. But sometimes Baa Baa Black Sheep can get a little repetitive. Thankfully Lin Oliver has written a charming alternative. 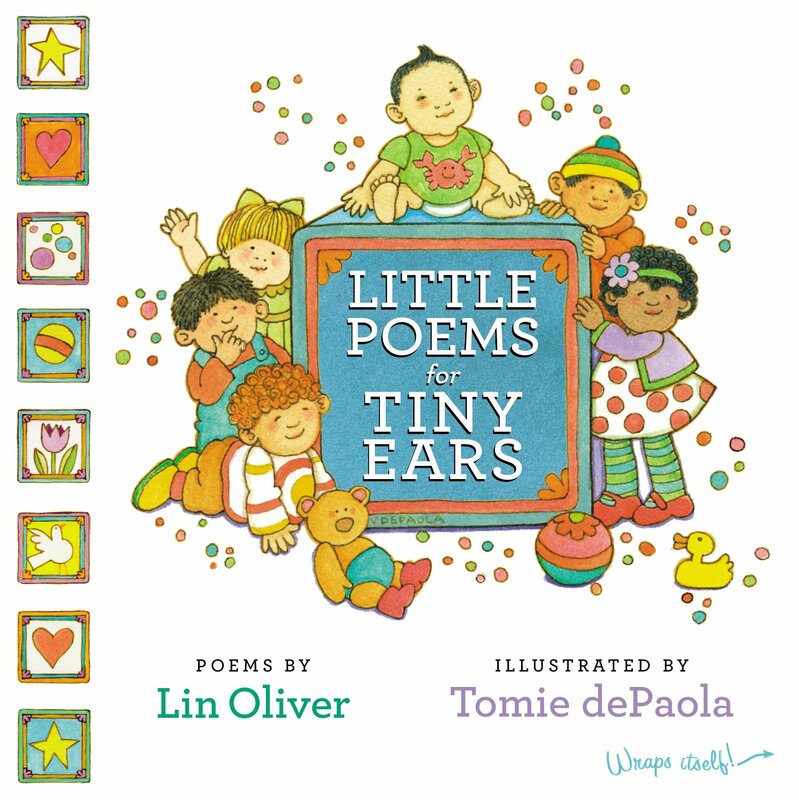 Little Poems for Tiny Ears is primarily a picture book, Tomie dePaulo's illustrations of round faced babies in soft bright colors are gentle and sweet. There are also parents in the illustrations, one poem is about Daddy's beard which we see from a toddler's eye view. Lin Oliver's original poems are short and have jaunty rhymes. But it's the choice of subject matter in the poems which really makes this book interesting. There's a poem about toes, as all babies are fascinated by those things on the ends of their feet. Another poem is about pulling everything out of low kitchen cupboards, which is the most favorite game of many two year olds. I read poems from this book at story time in the store and the response is often the laughter of recognition. These super simple poems touch on small truths for the little ones and their parents. An excellent choice for a baby shower gift, whether the parents read poetry or not. Because, babies love poetry.